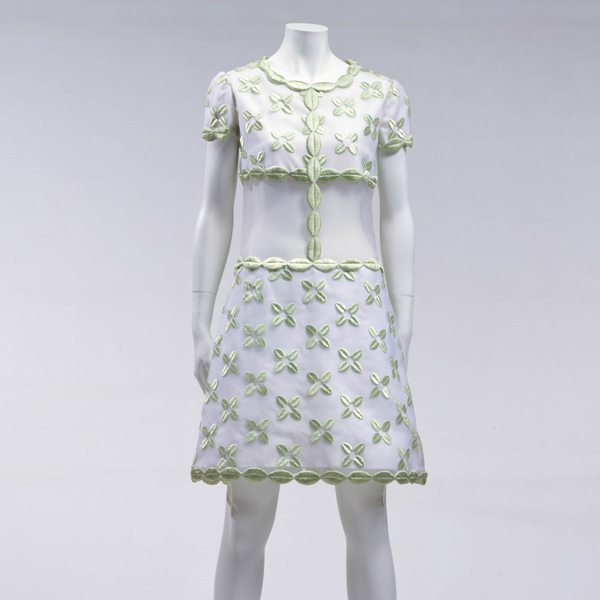 Beige silk organdy base embroidered with metallic threads, beads, wooden beads and rhinestones; mesh-like beading without backing around waist. 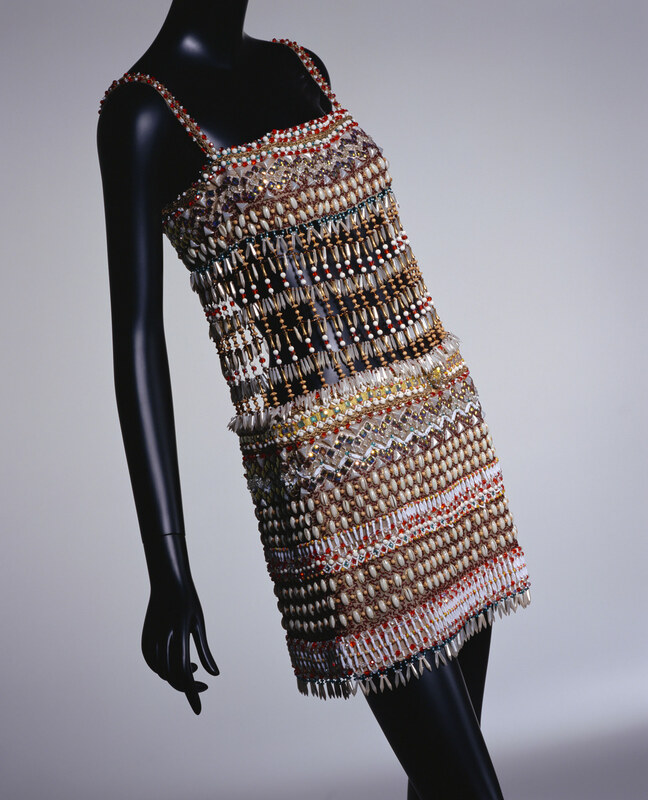 This dress, presented as one of the "African Look" collection, fascinated people by bringing the African primitive beauty, formerly discovered by Pablo Picasso (1881–1973) and Henri Matisse (1869–1954), into the limelight of the fashion. 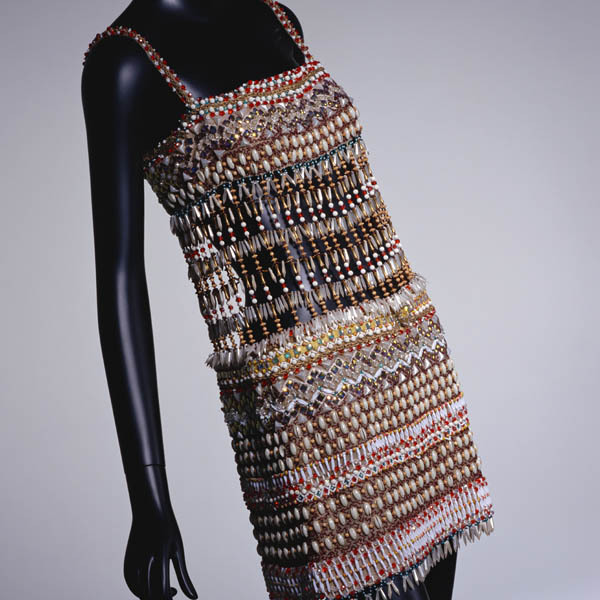 This dress is elaborately embroidered with 20 types of beads including sea shells, wooden beads, and animal-teeth-shaped beads, which had rarely been used for Haute Couture before, as well as several sorts of colored threads. 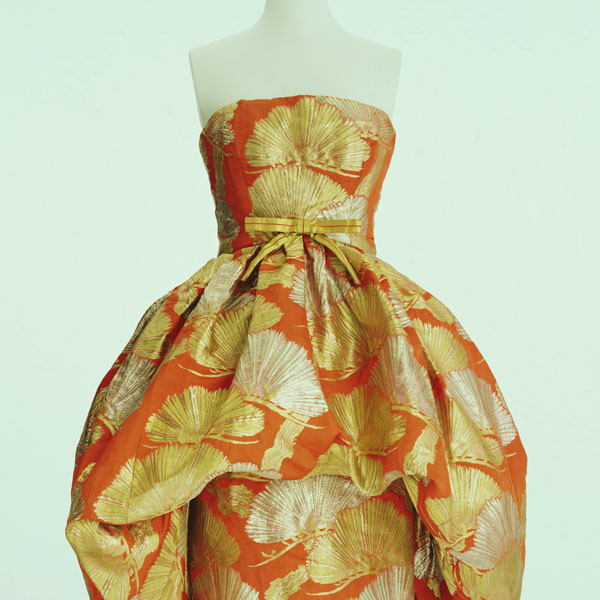 We can see here the very cream of handworks, from the highly advanced and precise techniques of the embroidery studios. 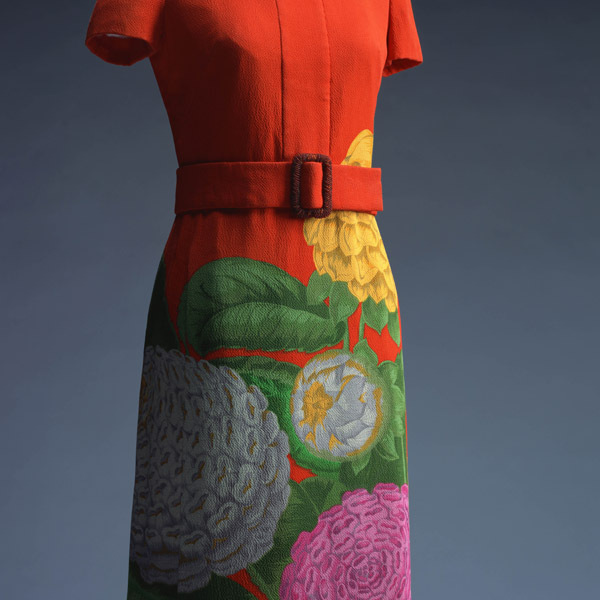 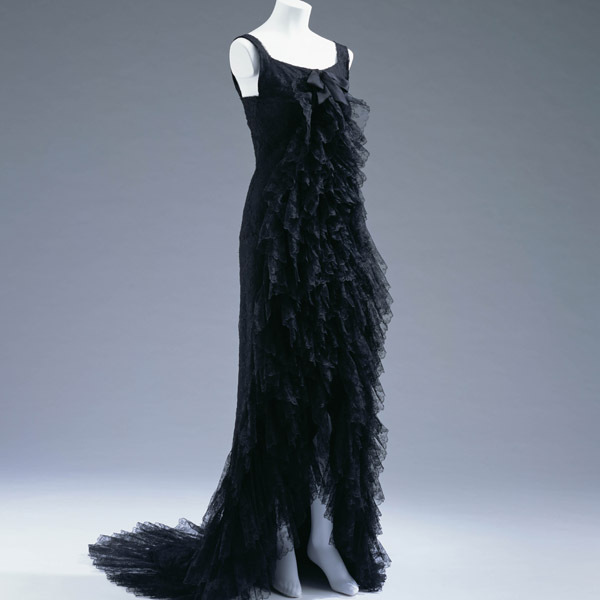 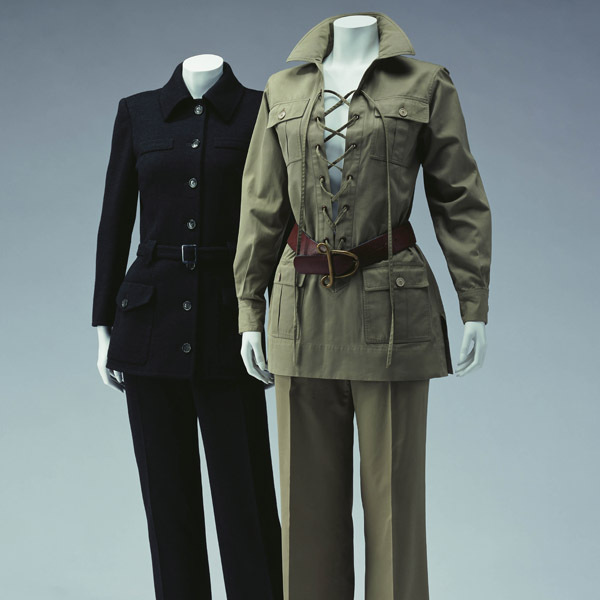 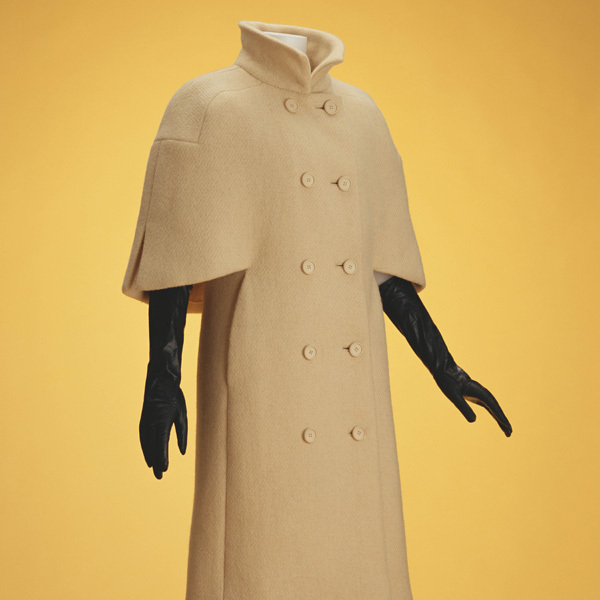 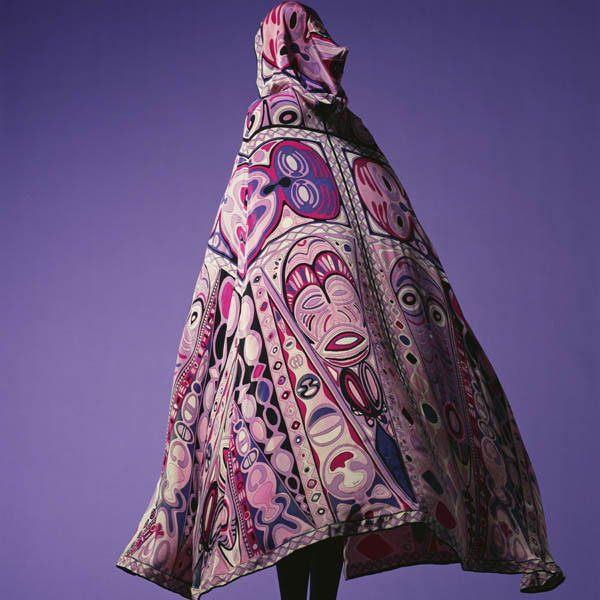 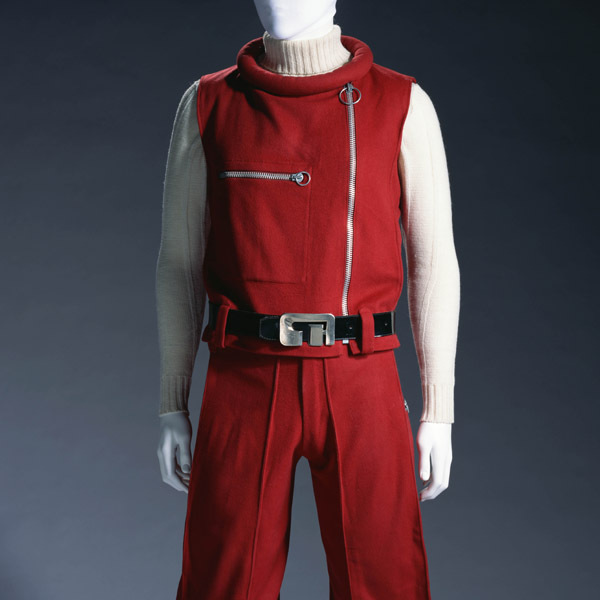 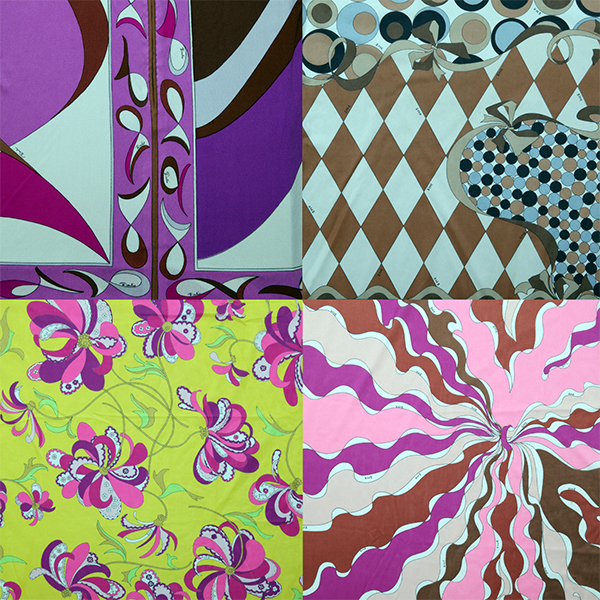 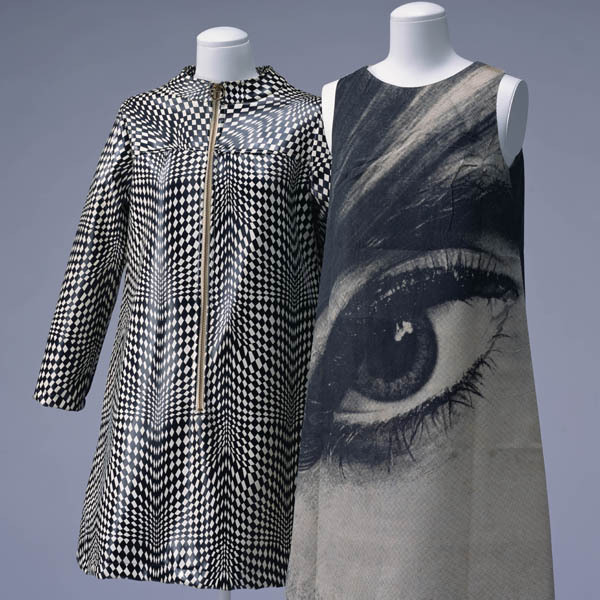 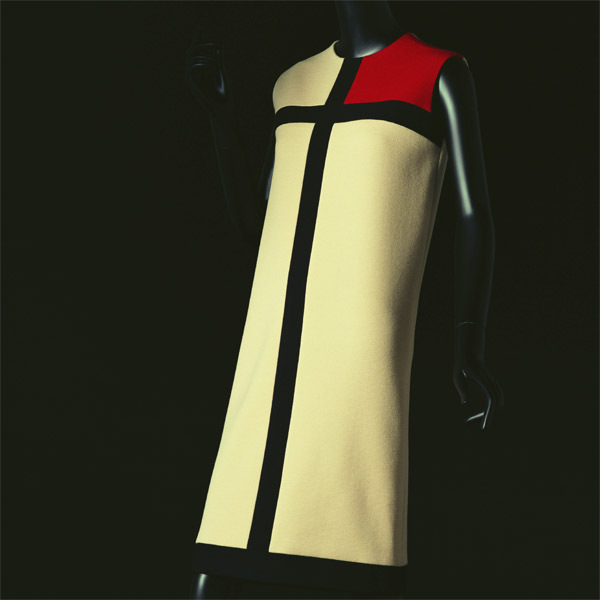 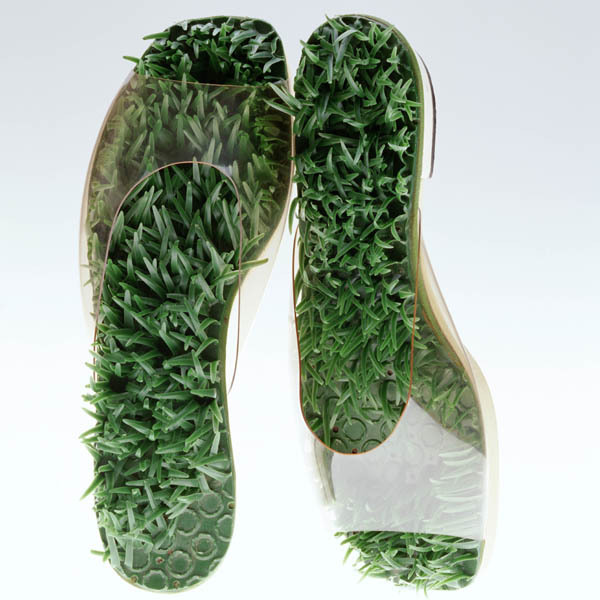 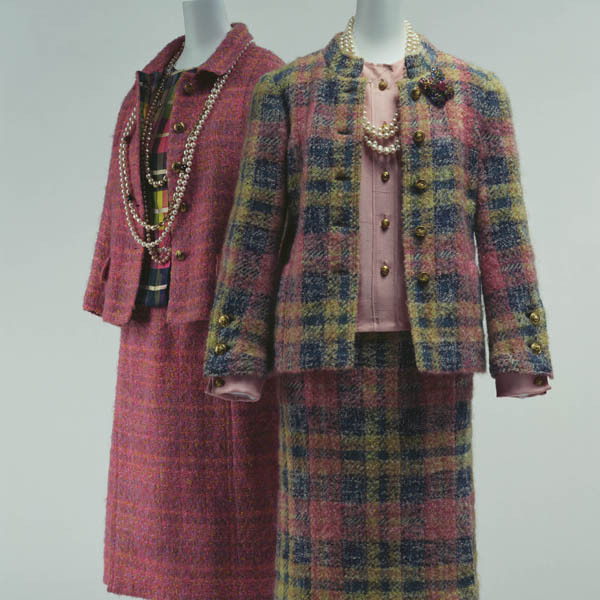 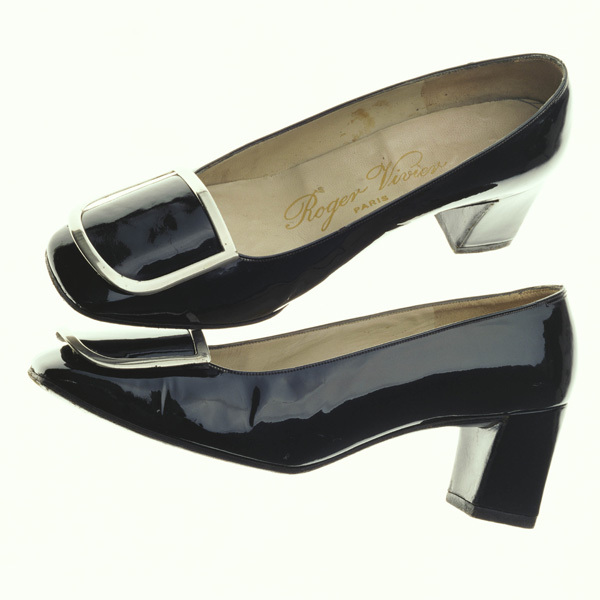 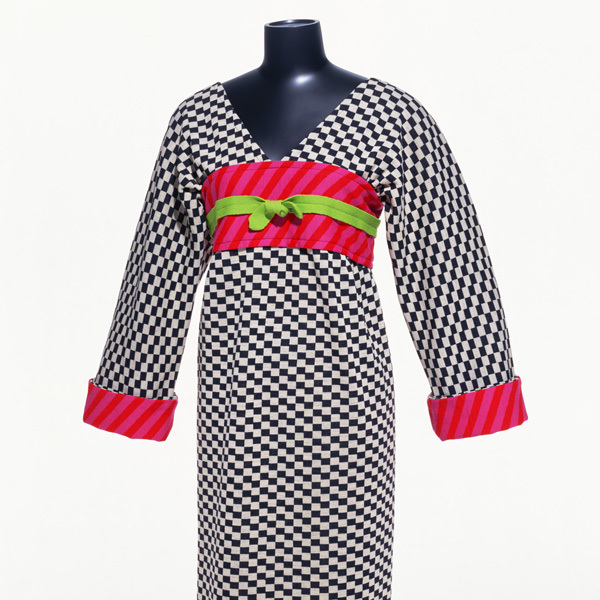 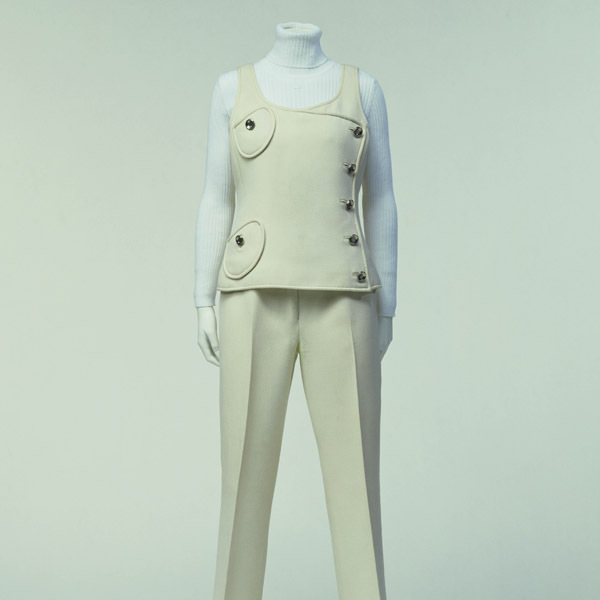 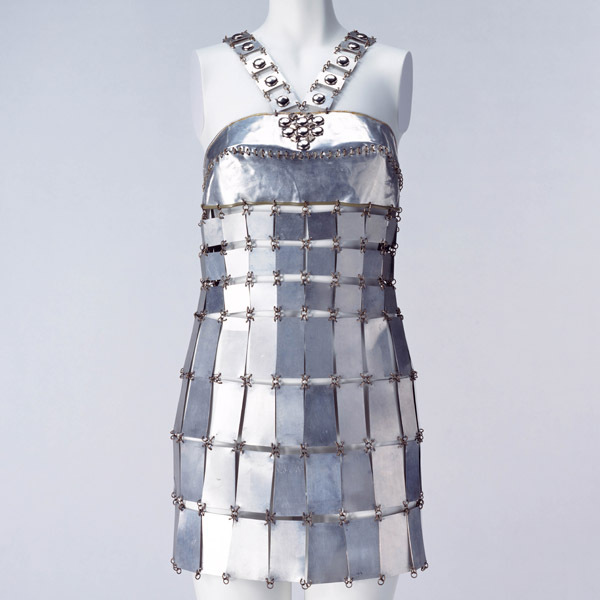 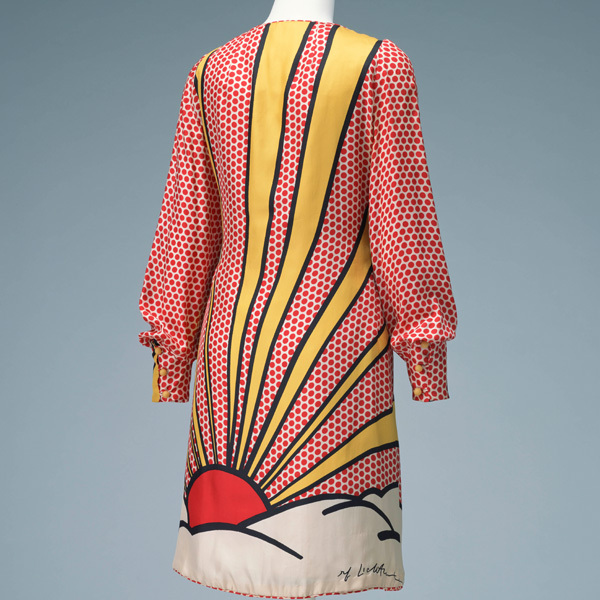 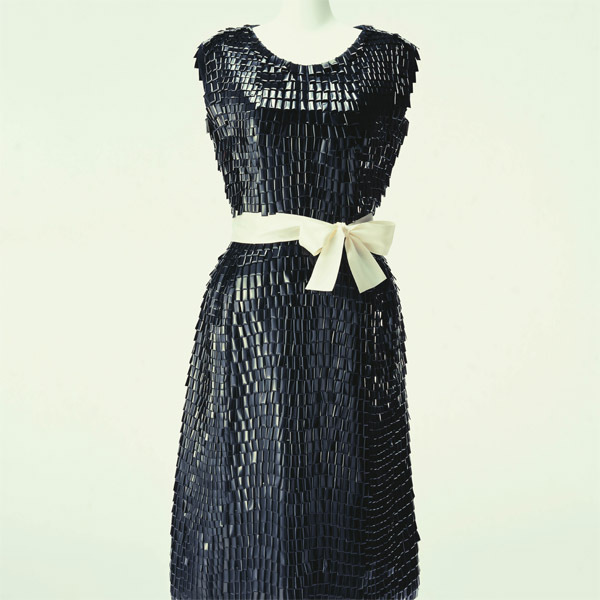 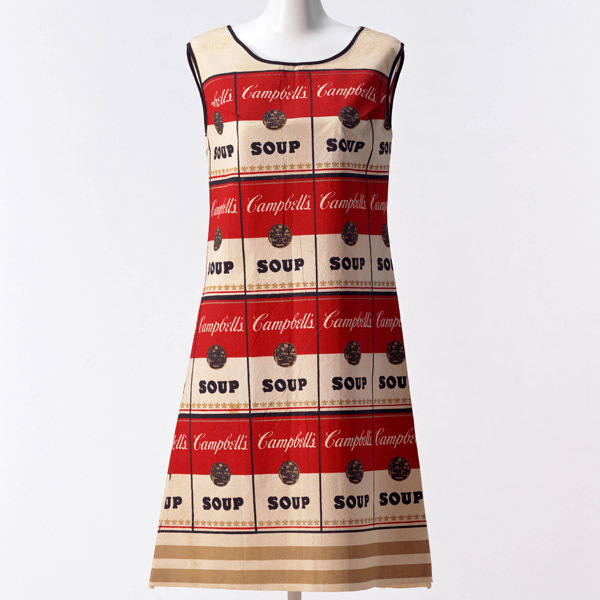 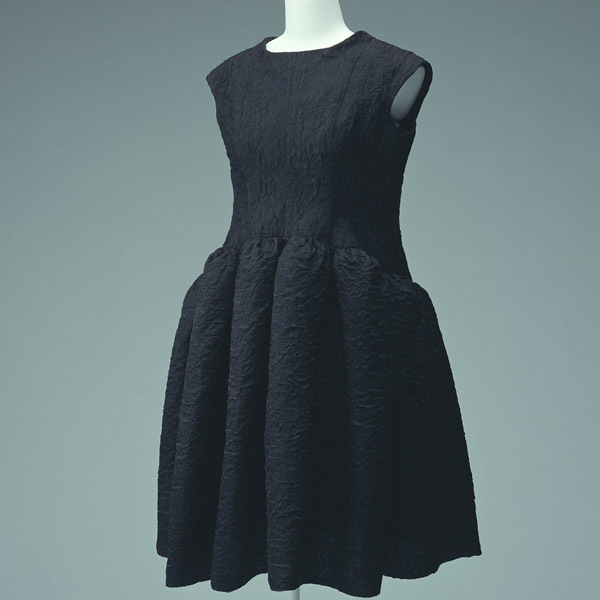 In the 1960s, Haute Couture created innovative designs, while observing its tradition.